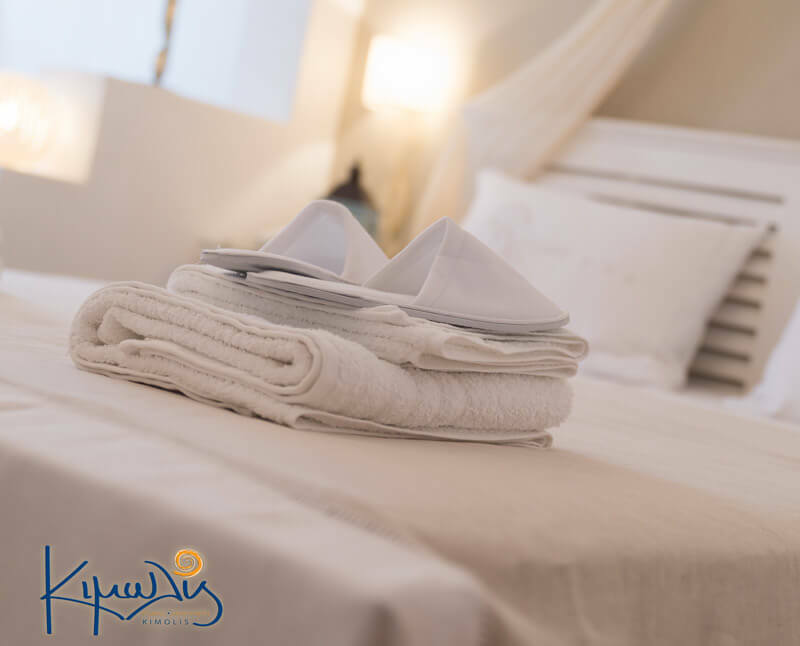 In the Kimolis you will receive a warm welcome and we will be glad to offer you a variety of services in our excellent premises. Our sole aim is to make you stay pleasant and unforgettable! The reception desk is open from 9.00am to 9.00pm. Breakfast at Kimolis is a unique culinary experience. A variety of home-made delicacies invite you to a journey in gastronomic pleasure. 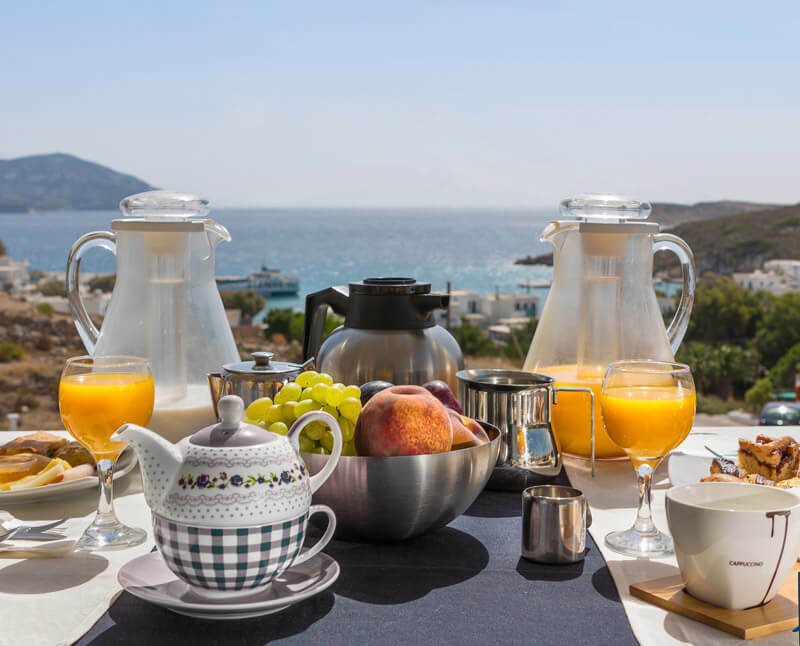 Your breakfast consists of a wide selection of Greek dishes, freshly prepared and served on a buffet wherefromso you may choose the ones you wish to taste. You may enjoy your breakfast on the veranda (the open breakfast area of the complex) or in the private balcony of your room.